Live your best life at Heather Park Apartment Homes, a Morgan Properties community. Our one, two, and three bedroom apartments near Crabtree Valley Mall in Garner, North Carolina, offer the amenities and apartment features you would choose for yourself. From the lofty 9-foot ceilings to the private balcony or patio, you’ll enjoy spacious, gracious living close to Raleigh. 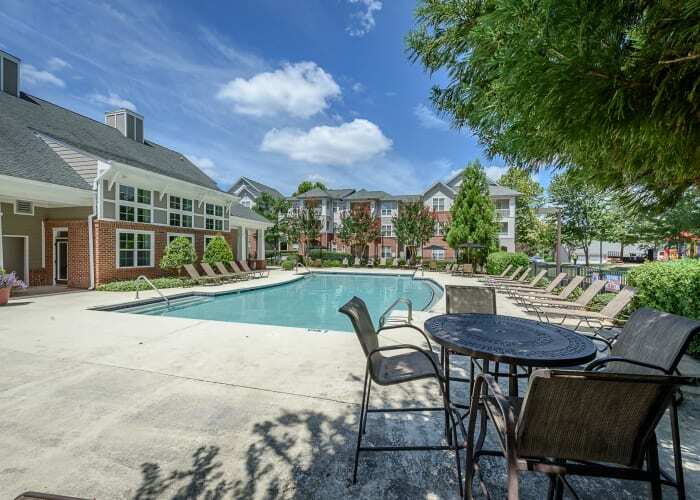 Heather Park Apartment Homes also offers a suite of exceptional community amenities, including a sparkling outdoor swimming pool, a business center, and a state-of-the-art 24-hour fitness center. Your four-legged friends will love the onsite dog park, and you’ll love the convenience of an onsite car care facility. Discover an elevated lifestyle at Heather Park Apartment Homes. Schedule a VIP tour today. Our friendly team can’t wait to show you around your new home.